SYLVIA DICKEY SMITH, “IF I TELL YOU A HEN DIPS SNUFF, YOU BETTER LOOK UNDER HER TONGUE! In 2015 I will dedicate six blog stories to other authors’ thoughts and advice on the second phase of writing a book…SELLING it! A number of friends, who believe they have a novel secreted away somewhere deep inside them, have asked about the process of writing and publishing a book. I hope this series of interviews helps answer their questions. I will continue my blog series, Crimes, Criminals, and the Cops Who Chase Them on this site as well. Sylvia Dickey Smith is a writer I met at a book festival, where we were both marketing our writing. Since then, I have read much of her work, visited with her about writing, and asked her to be the first author in this series about marketing. Sylvia’s most recent novel, Original Cyn, captured my attention because of the title. After reading it, I realized it represents an entirely new side of Sylvia’s story-telling ability. Original Cyn deals with issues that draw the reader in and may cause one to question long-held ideas about people, institutions, forgiveness, and redemption. It is an extraordinary work of fiction. Question: Before you published your first book, how did you define what success as an author would be and how, if at all, has that changed as your writing career has developed? Answer: Heck, Larry, before I got my first book published, I defined success as getting it finished and in print! After way too many rejections, I finally landed an agent and the first thing she said was, “I want to sell this as a series, so send me synopsis for two more books.” What? Two more? Good grief, I just got the first one done. I honestly felt like I had nothing left to give—not an iota of an idea. But somehow I squeezed blood out of that turnip. Yes, my definition of success has changed. I now have six novels and a cookbook published. I have won numerous awards, spoken in many writers conferences, mentored other writers, and conducted radio talk shows on writing. Do I define all of that as successful? Well, yes, I suppose so, but am I satisfied with my accomplishments? No way! Still waiting on that movie deal, or that New York Best Seller list… But one thing I have learned—there is an endless supply of stories within me, waiting to be told. Question: What are your top three marketing strategies, ranked in order of success if possible? Question: What marketing strategy have you tried that didn’t work for you, if any? Answer: Signings at bookstores. I have done many, several which were successful; but that strategy seems to have had its heyday and passed on. People are not interested in them. I don’t schedule them anymore. Another strategy I rarely do now is drive for hours and pay for a hotel room to set up a booth at book fairs. Several authors I know, like me, don’t do them anymore. It is a good way to gain a certain amount of name recognition, but the expense far outweighs book sales. We just can’t afford it. I will do them, however, if I am on the program and the organization compensates my expenses. Question: Is there a marketing strategy you are not employing that you would like to try? Answer: Good question. Yes, I’d love to participate in marketing one of my novels after it was made into a movie. Who wouldn’t? Question: What advice would you give aspiring authors about selling their books? Answer: My advice: If I tell you a hen dips snuff, you better look under her tongue! The same holds true when I tell you to embrace the fact that marketing is fun. True, it can be difficult, time-consuming work. That is exactly why I decided, since it is necessary, to have fun while doing it. We authors often obsess and stress about marketing. Likely that’s because selling or not selling books may well impact whether or not we get another book contract or can afford to publish another book. Even so, don’t let that scare you away from a new way of approaching the activity. One day, while stressing over marketing, I decided life is too short and writing way too much fun to allow marketing to leave me feeling negative. So, by an act of will, I reframed the process and ran smack into the law of attraction, which is: When we have fun, we attract people to us. Now, I create enjoyable ways to market my books and set up activities that make me laugh. An example: I spent several days in Orange, a Texas town with a population of 20, 000, as I launched the third book in my Sidra Smart mystery series, Dead Wreckoning. I had tons of fun—and sold 150 books! 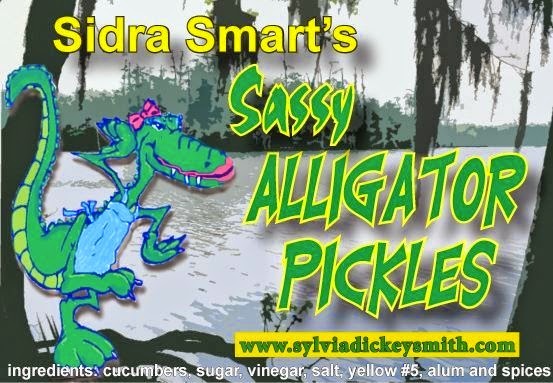 What did I do differently: As my final draft of Dead Wreckoning neared completion, I made pickles and named them after my protagonist, Sidra Smart. Since it is set in bayou country, I labeled them with a comic alligator wearing an apron and red lipstick. I bottled a few dozen jars, affixed the label and took them to the event along with my books. The pickles led folks to my table. One man said he didn’t even like pickles, but bought a jar just because he loved the label. Folks who bought the whole mystery series got a free jar of the pickles wrapped in colorful tissue paper and stuffed into a bag. Customers left with smiles on their faces. I sign books in coffee shops, antique stores, and boutique wine shops while an Elvis impersonator sings, at art events, libraries, pharmacies, Mardi Gras celebrations, a crawfish boil—anywhere I can set up a table. I offer something for the customer, like wine and cheese, cookies, sandwiches and coffee, seafood gumbo, crawfish cornbread, etc. If it fits, I dress in costume of a character in one of the books and decorate the table accordingly. Anything that will attract a customer and get them hooked on my books. For example, with A War of Her Own, my first historical fiction, I bought a hot pink Bergdorf Goodman original hat from the 40’s to wear. I don’t mean to mislead. There have been events where I sold zero books, but if I find myself in such a situation, I’ve learned to turn the events into fun. I challenge myself to see how many people I can engage in conversation and delight in making a new friend—even if we never see each other again. It is sort of like paying joy forward. Sometimes the person may end up buying my book and sometimes they don’t. But I’m a winner either way. So, remember this. If I tell you a hen dips snuff, you better look under her tongue, because snuff is indeed there—and marketing can be fun! Question: Which of your books is a personal favorite? Answer: My favorite book is always my last—my baby—my youngest! In this case, Original Cyn. Writing Original Cyn pushed me harder and deeper than anything I have written to date. I didn’t want to write a book I’d already written. I didn’t want to write a book that simply entertained. I felt compelled to push the envelope. Something that made people think; that shoved me, and my reader, beyond our comfort zone, a book that raised questions. Reviews reveal that is indeed happening. 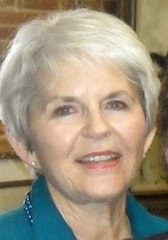 Visit Sylvia at www.sylviadickeysmith.com, connect with her on Twitter @sylviadsmith or on Facebook. Thanks, Larry, for the interview. I am happy to answer any questions related to writing or selling books. Just post a comment on the website. Great interview. Sylvia makes a great point when it comes to appearances at bookstores and book fairs. Not a lot of ROI for the expenses involved. At the same time, she turned her appearance in Orange into a winner thanks for her creativity–and her pickles, of course.